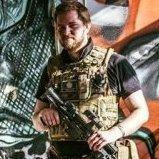 I've only recently came across airsoft and I absolutely love it, I inherited a large woodland with several buildings in the last few months in South Yorkshire and unfortunately unless I make it pay for its self it going to have to go, I was thinking along with a few friends setting it up as an airsoft skirmish site yet I have no idea what is needed to do so, I know there is the ukara but its not legally required to register with them as far as I can see. Can anyone help do I just set up a web site get insurance and away we go or is there a lot more. Thanks guys hope you can help. If you post in "General Discussion" you'll get a better response to your questions about sites.